Spices are majorly used in grounded form in day to day culinary activities. The whole spices are properly cleaned and graded and then grounded to powder form in clean and hygienic conditions. The grounded powder is further sieved and then packed in strong and clean bags as per buyer requirement. 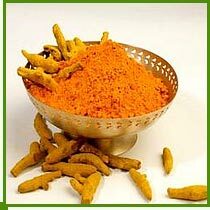 Turmeric which is known for its warm and peppery flavor is commonly used in powdered form in day-to-day life. In India, vegetarian or non-vegetarian, no dish is complete without turmeric powder. Standard Packing :- 25 Kg In HDPE Laminated Paper Bags or Jute Bags With Polybag Inside. Chilli is mostly used in its powdered form in day-to-day cuisine. 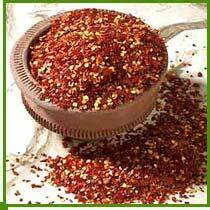 Chili powder is used in making various seasonings like Sauces, Chutneys & Pickles". 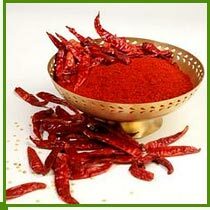 Red chili powder is also useful in making various seasonings like Sauces, Chutneys & Pickles. Crushed red Chilli are Semi-Crushed form of Whole Chillies and are widely used throughout the world to be sprinkled over Pizzas. Chilly Crushed which are also widely called as Chilly Flakes or pizza chilies are semi-crushed form of whole chilies and are very commonly used throughout the world to as garnishing over pizzas and other bread be sprinkled over pizzas. They are preferably made form chilly whole after removing the stalks and has a seed content of 35-40 % in it. Standard Packing :- 25 Kg In HDPE Laminated Paper Bags or 25 Kgs In Jute Bags With Polybag Inside. 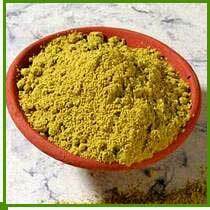 Coriander Powder is widely used in almost every Indian Cuisine. Coriander Powder is prepared by grinding the high quality of matured sun dried coriander seeds in natural form. This assures a fresh taste and aroma to the dish to which these are added and makes the cuisine more relishing. Packaging Details: The standard packing for chilly crushed is 25 Kg in New Singe Jute Bags/Paper Bags. 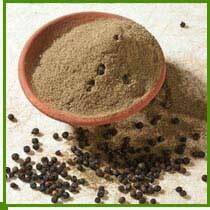 Dried grounded pepper is one of the most common spices in European cuisine and has been known and prized since ages for its flavor and use as medicine for number of health problems especially as a anti acid and for digestion. It is used in processed meats and also added to fruit cakes ginger bread and light seasoning of fresh fruit.